In order to put your home on the market in Italy, a professional real estate agent will ask you for a copy of the official floor plan (planimetria) filed with the property/land registry, catasto. Due to privacy laws, the agent must have written permission to request this document on your behalf. A quicker solution is for you to download it directly from the Agenzia delle Entrate website, free of charge. 1. 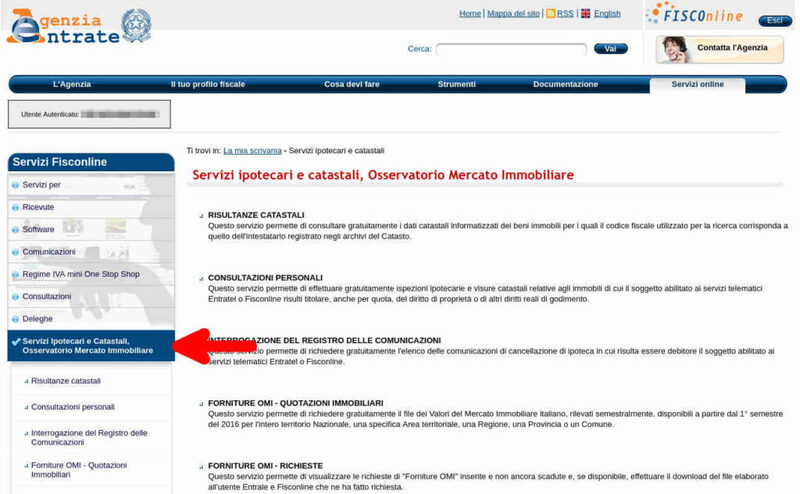 Go to the Agenzia delle Entrate website and click on Area Riservata in the upper right hand corner. A box will expand. 2. If you are already registered for online services supplied by the Agenzia delle Entrate, click on the Accedi a Entratel/Fisconline button. In the Accedi al servizio box on the right of the page that appears, supply your username, password and pin to login. If you need to register, click on the Non sei ancora registrato link instead. Click on the Registrazione a Fisconline link. If you have a card reader for your Tessera Sanitaria, choose the Persona fisica in possesso della Carta Nazionale dei Servizi (CNS) option and follow the instructions to obtain your pin. Otherwise choose Persona Fisica. You’ll need to specify your Codice Fiscale, and your reddito complessivo for the tax period specified. Don’t include cents nor punctuation. You only have 3 chances to insert the right answer, so go slow and get it right the first time! As an alternative, you can request a pin in person at an Ageniza delle Entate office; a list of offices is available from their website. 3. Once you’ve logged in, choose Servizi Ipotecari e Catastali, Osservatorio Mercato Immobiliare from the menu on the left. A sub menu will open. Choose Consultazioni personali. Click on Conferma lettura at the bottom of the page. 4. In the Elenco omonimi box, tick your name and click on Ricerca. You’ll then see a list of every province for which you have a partial or complete interest in property. Tick the province of interest, then click on the Immobili button. 5. In the listing of properties which appears, tick the property of interest. Click on the Visura Planimetrica button. You will be asked to choose from the A3 and A4 print formats. Choose A3 and click on Visura Planimetrica. Click on the Salva button which appears. The saved PDF will most likely have a name similar to DOC_1234567890.pdf. Open the saved PDF. At the bottom you should see the message Formato di acquisizione: A3(297×420) – Formato stampa richiesto: A3(297×420); if so, congratulations, you’re done. If you see Formato di acquisizione: A4(210×297) – Formato stampa richiesto: A3(297×420), click on the Indietro button. Choose A4 as the print format and click on Visura Planimetrica. Click on the Salva button which appears. Open and check the saved PDF to insure the original acquired format is the same as the print format. In some cases you’ll see a message Il documento non è ancora stato prodotto. Consultare la sezione documenti richiesti together with a small box of files icon. Click on the box of files icon to see a list of documents you’ve requested. Documents which aren’t yet ready have the status Da trattare next to them. You’ll have to check back in a few hours, or the next day, to download them. Keep in mind the generated documents will only be available for a week. In some cases you’ll find the original document format was fuori standard (248×377) or similar. Since you can only specify A3 and A4 formats there’s nothing more to do. Use the Visura Mappa button instead of the Visura Planimetrica button for plots of land in the land registry. While you’re on the property record, there are two other really useful documents worth retrieving. Click on the Indietro button to return to the property listing. Tick the property. Click on the Visura per Immobile button. You’ll have two choices: Completa or Storica. Tick Completa. Click on Inoltra. You may see a message Il documento non è ancora stato prodotto. Consultare la sezione documenti richiesti. Check back in a few hours, or better yet, the next day, to download the Visura per Immobile pdf. Click the Indietro button to return to the Visura immobile selection. Tick Storica. Enter a starting date of at least 20 years ago, e.g. 1 January 20 years ago. The ending date defaults to today; leave it set to today. Click on Inoltra. As noted above, you may have to check back in a bit to download the generated document. Click on the Indietro button to return to the property listing. Tick the property. Click on the Ispezione Ipotecaria button. Click on the Produci elenco button to save the overview of notes. For each note, if the text Nota disponibile in formato elettronico is present tick the note and click on Visualizza note to save the detailed note document. Do the same for Visualizza titolo if present. 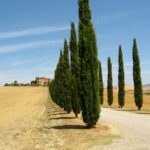 If you’re selling a property in Italy, there are other documents either required to complete the sale or important to have on hand for inspection by a prospective buyer. Don’t hesitate to contact us should you have questions about the sales process and/or wish assistance.